The biggest trend in the toy world at the moment is the blend of "real" toys and action figures with digital games. LEGO's already dipped its toes into the same pool as Disney Infinity and Skylanders with LEGO Dimensions, but that's not the only combination that the mega-company is working on. 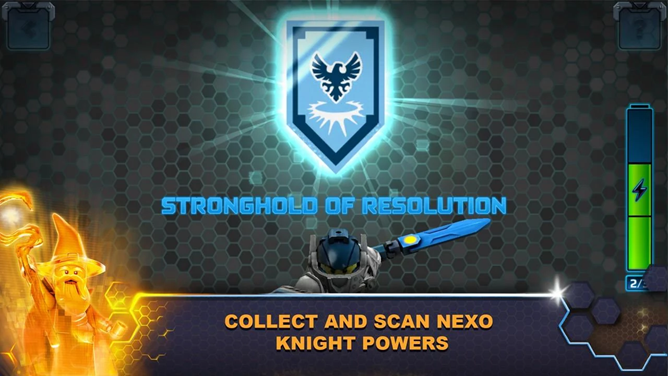 An original franchise, Nexo Knights, lets kids build playsets based on the techno-fantasy theme and then upload the various characters' shield codes into the accompanying game, Merlok 2.0. 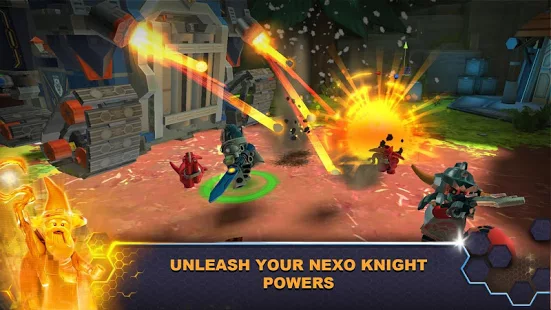 The world of Nexo Knights is medieval-themed, but features whiz-bang technology as well - it's kind of like an updated version on He-Man. 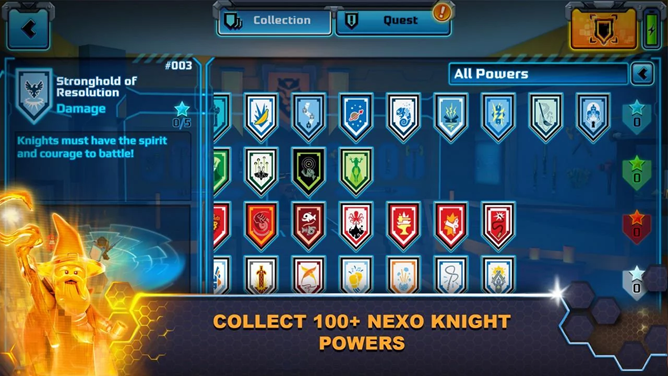 Each of the protagonist knights comes with his or her own shield, which can be "scanned" into the game to give their digital avatars new powers. Of course the easiest way to get more powers is to buy more LEGO toys, but codes can also be found on various LEGO advertisements, web promotions, and the (inevitable) CG cartoon. 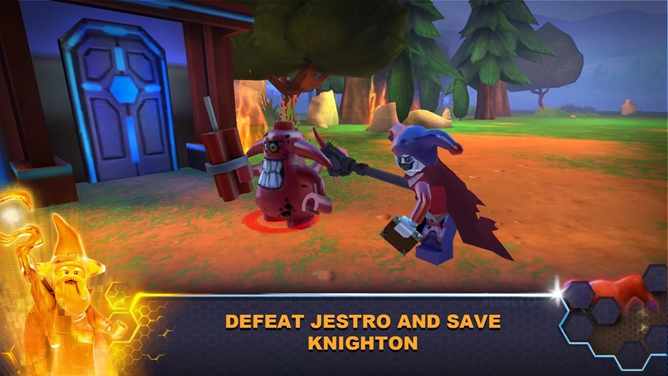 The game itself is pretty basic hack-and-slash action with LEGO's usual building puzzles and slapstick humor added on. If you're tired of seeing your kids play with a dozen different versions of Spider-Man in LEGO form, you might want to give the app a try, and maybe pick up one of the sets at your local toy store. The LEGO sets aren't free (and how!) but the game is, and it doesn't include any in-app purchases.